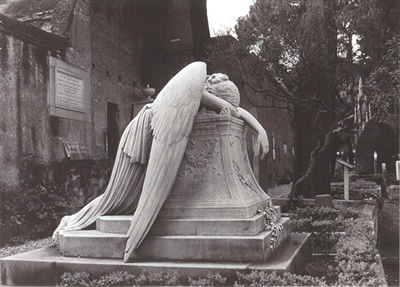 What Can Make an Angel Weep? Photo "borrowed" from RoughWaterJohn's blog. Is it angry men, driving knife blade deep? Is it skewed world vision, tainted by dreams of greed? Is it heinous crimes or mean dastardly deed? Is it poverty and children without solid roof? Can it be bombs and mortality, lives lost as proof? A world in pain, knowing a black spirit has souls to steal. This entry was posted in A Masculine Point of View, Fodder for Thought, Gary, Poetry, RoughWaterJohn and tagged Angel. Bookmark the permalink.